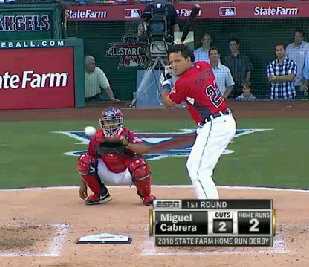 The 2010 Home Run Derby is underway at the Los Angeles Angels stadium in LA. Below is the 2010 Home Run Derby leader board. Hanley Ramirez just finished with 9 homeruns in the first round.